This short musical passage composed, performed and produced by Derek Mason, speaks volumes about the spiritual quest of the human spirit for the meaning of life. Derek created this “Lord of All” piece in 2002 and released in it 2002 and 2003. He played it on the same classical guitar he used for his solo guitar work on cruise ships in the next 3 years. This music has since become more than a contemplative guitar piece. It is now a fitting expression of Derek’s desire to connect with the Lord of The Universe. I first published this music video on February 14, 2016, on the eve of the one year anniversary of the passing of my husband Derek Mason. In this memorial, I want to honour you, Derek, in many ways, and especially in this: that you loved God above all. I wouldn’t have it any other way, although I miss you terribly. What is saving me from terrible dispair is the vision of eternity we shared together. We still share in that vision through Agape, which preserves the love between the two of us as eternal and sacred. I always remember you saying, many times, especially in your last 18 months on Terra Firma, “I want to go to heaven” You said it passionately, sometimes with a faint sparkle of tears in your eyes. Many people didn’t know that about you, Derek, that you grew to love God, the Lord of All, first and foremost, and that you kept your spiritual antennae directed to the voice of God, throughout much of your life struggle. I’m sure that is why this piece of music sounds so searching. Inspired by his pilot training, passion for aviation and a love of Sci-fi, Derek created this ambient music piece. In retrospect, I realized that the entire production is quite symbolic of Derek’s spiritual nature and his final journey Home. Other memorial videos of his classical guitar music are found on our “Memorial Videos” page. Rest in peace, Derek. We miss you, and pray you have flown to the heavens. 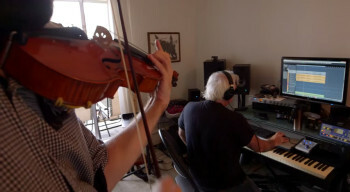 For the award-winning music soundtrack of this environmental trek movie, Violist-composer Thomas Beckman worked with music producer Derek J. Mason during the summer and autumn of 2014 in Derek’s Vancouver BC production studio. It was an honour for me to provide supports in the studio, and to hear the the initial music production for the film. I witnessed directly the depth of Derek’s contribution to the improvisational flow in the first music pieces produced for this impressive environmental documentary film. 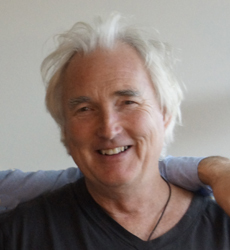 In ways that Thomas Beckman so kindly expressed in his tribute to Derek Mason, Derek’s musicianship and dedication, which were always woven into his service as a record producer, were also an intrinsic part of the composition of the first three music pieces that were recorded for the film’s soundtrack. This initial production was in progress less than a half-year before Derek Mason passed away on February 15, 2015. While the creativity, passion and skill of Thomas is the core of this music, our hearts also want to recognize and honour the musical sensitivity and love of dramatic music that Derek contributed to this film as its first music producer. His work was cut very short by his tragic illness and passing from this planet he had so loved so much. How fitting it is that his last music project for film was in celebration of our Earth’s remaining places of wilderness. Here is a video that helped bring the environmental trek documentary film and its music to the attention of CBC and some international film festivals. 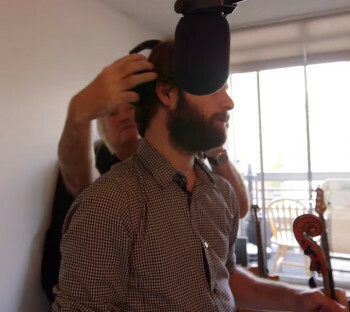 You’ll see Derek Mason working in his Vancouver studio with Thomas Beckman in the some of the recording and production for this music soundtrack. Derek was a servant, and it’s evident here as you watch the video. He worked together with Thomas and percussionist Jarrett Plett on the project together until late October, 2014. 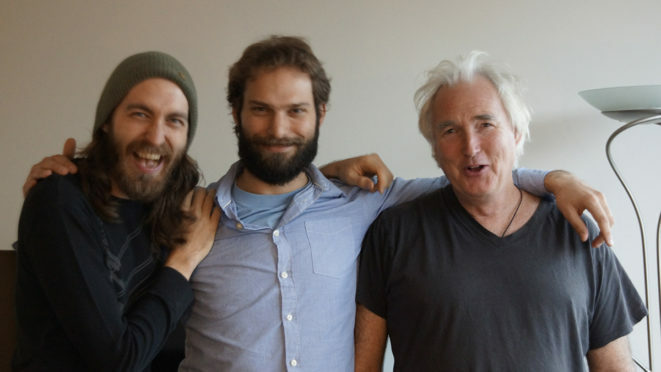 In early 2015, Thomas and Jarrett carried on with producer Sam Ryan for the post-production mixing and mastering of the brilliant music score of Colours of Edziza. We are featuring four songs by Emerging Artists who surely will not forget, as they move forward in their music and media careers, all that their first music producer did for them. It’s understood by singer-songwriters who worked with Derek Mason that his musicianship was a huge component of his skillset as a recording engineer. The finished products often astounded them as they realized just how great their debut records sounded. 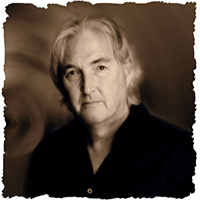 As an artist mentor and producer, Derek was dedicated and generous, always striving for collaborations of mutual benefit to all the members of the creative partnership. He had a gift for recogizing the unique potential in the song artists who engaged his music production services. Some of those artists, we list on our Links page. Below are some insights into Derek Mason’s contributions to debut recordings he produced for the two singer-songwriters featured on the above playlist. Lola Acala found Derek Mason Music Productions in 2012. A remarkable person, passionate, intelligent and enterprising, Lola has a Political Science degree and is concerned with social justice. She has been a television host of her own TV media show, TheLedge, a good quality program in which Lola presents, with outstanding style and respect, many social issues and some remarkable artists. She has interviewed a variety of remarkably accomplished people involved in the arts, social justice and wellness. Recently, at the end of her June 16, 2016 Episode of TheLedge* (see below), Lola used a short clip of her song, “Only A Matter Of Time”. We provide an opportunity to listen to Derek Mason’s full production of the entire song here, via the playlist above. It’s worthy listening. Lola is encouraging as a life-coach in her lyrical offerings through her song, and Derek’s guitar work and other instruments are very fitting to the “move forward” message of the Lola’s lyrics. We love the message that Lola Acala puts out through her lyrics and her tag-out in that “…Matter of Time” song. And we love the energy of Derek’s guitar playing. To add some background on Lola Acala as a media personality, Lola was emerging as a cable TV series host, but not yet a music recording artist, when she found Derek Mason Music Productions. She came to our studio with song lyrics, theme ideas and dramatic aspirations for a few songs. Derek took her on, and he worked extensively to produce Lola, coaching her to enhance her singing and recording performance skills. Because of Derek’s accomplished instrumental skills and flair for big-sounding arrangements, he offered up many ideas Lola would not have imagined. I personally was present during the making of Lola’s debut EP, and just how hugely significant Derek’s creative ideas were as in the final arrangements… as was his musicianship. Lola and Derek collaborated their creativity towards the final song arrangements. Lola wanted to continue, but those plans never materialized due to Derek’s illness which became apparent in late November. Sadly, that’s the end of this story. However, we wish Lola well in all her endeavors. Ava Carich is an emerging artist from South Surrey, British Columbia, who is very talented and deserving of the awards she has recently won as a singer-songwriter and solo performer. I and Derek sincerely wish her well. Ava’s debut recording was produced by Derek Mason. A punchy song she wrote, called “Player”, the record was a gift from Derek and me to Ava, and it was her debut, the very start of Ava Carich becoming known as a recording artist. Derek Mason produced and recorded “Player” at his downtown studio in Vancouver, BC, without receiving financial compensation. He started by making a demo of Ava singing her song. Then he made a slightly fuller production adding drums. Derek and I loved the song and encouraged Ava to develop the song further. Shortly after Ava’s debut recording sessions in our studio, Derek made a fully produced recording of “Player”, which you can hear on this site in the playlist above. It was a much bigger record than Ava was ready to receive at the time; with her youthful ears, she chose Derek’s simple, studio demo-draft with drums, to publicize her recording debut via social media. That’s okay; it was Ava’s personal choice in 2012 as she launched her recording career. You can hear that basic demo on YouTube, on the blank video she shared there. Hear it via our embedded link below; then listen via our playlist above, to Derek’s full-production version — the one he worked on with professional dedication as the music producer he was — a producer who made big, radio-ready music recordings for ambitious artists. There has been local buzz over the past three years, about Ava’s talent, and lately regionally, all of it deserved, because Ava is wonderful. She has an expressive voice and some worthy lyrics. Most of her listeners may not know, however, that Derek Mason and I gave Ava her recording start, in our Beach Avenue music production studio. This might be because, between July 2012 and January 2015, Derek Mason had branded his studio business as “Drama Music Productions”. To clarify, that brand was a division of his registered company, Derek Mason Music Productions. He wasn’t into promoting his own name so much, because he was also creating music for film and dramatic arts. Derek worked at Ava’s first record in his studio for countless hours, with a promise from her promoter that there would be compensation for him in the future. We had faith in Ava’s talent, and believed she would reach a level of success enabling compensation for her first music production studio. Certainly other studios took over Ava’s recordings in the past couple of years, and that’s understandable because of Derek’s illness and tragic passing. This just clarifies and reaffirms that Derek was the one who provided these music recording kick-starts as an accomplished, dedicated and generous music producer. We know that Derek has passed away in body only. His spirit lives on, and I speak in his honor, knowing that he is still pleased at having given these recording debut opportunities to both Lola and Ava. Derek Mason’s mission as a music producer was to provide extensive yet affordable music production work, contributing instrumental tracks, arrangement and engineering for the artists he recorded and produced. Singers would come in to his studio with song ideas, lyrics, basic melodies and no recording experience, and Derek would create for them, big-sounding records suitable for launching their careers; in short, Derek’s hard work and dedication turned them into bonafide recording artists. He did so, in scores of other great-sounding records that we don’t have space to post on this website. He was a great “musical idea” man. As I journey through my bereavement after the loss of Derek, it is little comfort to me that I have full possession and ownership of all the recording session files and finished productions Derek left behind. These four songs are among and hundreds of others by several singers and a few bands produced by Derek Mason. Those files in themselves are testimony to his excellence and dedication. But these are special, for reasons I have explained above. We shed a light on this to offer up a renewed remembrance of Derek’s hard work and dedicated contributions to the recording debuts of these and other emerging artists. Nina is an amazing lyricist. In many of her songs, she breaks through the cracks in a heart like rays of bending light piercing darkness. She struck us to be as much a poet here as Leonard Cohen. Derek Mason completed this album recording and production for Nina Winkler in late autumn, 2014. It was a project of more than a year, not including Nina’s prolific songwriting which spanned several of her young years. Between her acting gigs and other travelling, Nina worked with Derek in the DMMP studio. They nurtured and fed the essential seeds of the tunes Nina brought in support her abundantly deep lyrical content. The result is a quality and fascinating album. 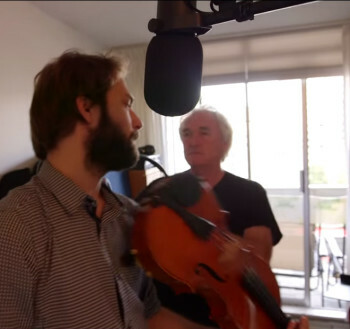 We share here some sample clips from the album, which is fully loaded with ten highly artistic collaborations produced by Derek Mason in the autumn of his life. It’s a timeless album in several ways, and will stand the test of time, despite its obscurity at the time of this writing. Please go to Nina Winkler’s iTunes page where you can learn more about Nina as an artist, and purchase her highly artistic recordings. The title track, “Let The Wind Take You Away,” features acoustic guitar by Nina — a perfect backdrop for the essence evoked in her song. Nina plays piano on several tracks, and Derek contributed various keyboard instruments, drums, bass, etc., throughout.